The press invites are in and the rumour and speculation surrounding what Apple Inc will unveil at its next press event on 27 Jan have reached fever pitch. Unless Apple really does do something wildly unexpected by the vast majority of industry analysts, media and punters, it is widely expected that Steve Jobs will be on hand to unveil his latest creation – a tablet computer, kickstarting a new product category in the consumer electronics market in 2010. Tablet PCs have been around for a while of course, but they have mainly been marketed to business users and professional designers. At the Consumer Electronics Shows in Las Vegas earlier this month we saw a number of other new tablet computers from the likes of Hewlett-Packard, Dell and Lenovo. The real questions will be asked after the launch, when we look at who will be providing what types of content (music, magazines, video, games, books etc) for Apple's new slate. Sifting through the morass of rumours, it is looking likely that the Apple slate will look and work very much like an oversized iPhone, with a 10-inch touchscreen. Analysts have suggested the machine will cost consumers around $1,000 at launch. The Wall Street Journal reported earlier this week that HarperCollins and a number of other major book publishers, have been negotiating with Apple to make electronic books available for the new tablet. 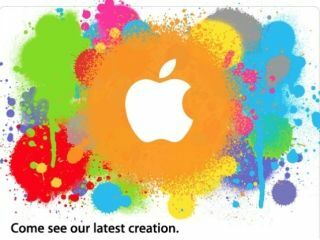 Apple sent an email invitation to reporters this week which said only, "Come see our latest creation." Stay tuned on Jan 27 for all the news, opinion and analysis you need straight from the Yerba Buena Center theater in San Francisco.